1.Thoroughly read job descriptions. Hearing form job seekers who apply when they are not meet the qualifications for positions is something that most recruiters despise. It takes away the time needed to find a qualified applicant. Take the time to understand exactly what the company expects form the applicants for the positions that interest you. Do not ignore the descriptions and make sure your content and 3experience match up accordingly. 2.Create and original cover letter. If the company asks for a cover letter, be sure to include one. Make sure to write one specific to your accomplishments and skills and one that addresses the job description properly. Use the cover letter to showcase personality, qualifications and your desire for the position. 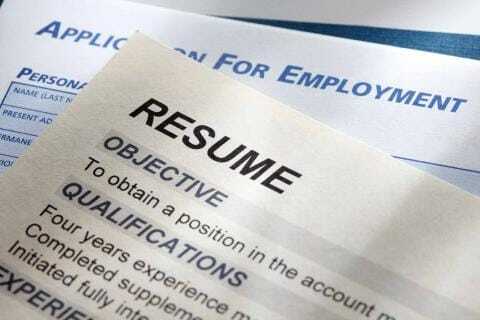 3.Use keywords and tailor your resume. Take the time to look over your resume. Find key words in the job description and make sure identify how the things you have accomplished address the requirements identified by the keywords. Do not use a generic resume for all of the positions for which you apply. Customize your resume and cover letter slightly with each new job submission. 4.Make sure your responses are error free. Back in the day when a paper application or resume was submitted to an employer with errors, it quickly found its way to the circulatory file where your name and grammatical errors are forgotten giving you the opportunity to potentially apply again correctly and be called back. With the digital interactions of today, all applications and resumes are potentially stored in a database and may be queued each time you apply for a position with the company so be sure that you are accurate the first time you submit your information to a potential employer. 5.Maintain one candidate profile per company. Multiple profiles may confuse a company’s system. You can eliminate the odds of the wrong profile being disqualified by a first time recruiter. 6.Review all the information you imported before submitting. Before hitting the submit button, look over the information you provided to the company. You cannot un-submit information. We hope these 6 tips help you with your application process. Visit us later this week for how to fill out the various sections of an employment application.